Zinedine Zidane is facing his first crisis as Real Madrid coach. Defeat at Girona on Sunday sees Los Blancos fall eight points off the pace in La Liga and worse than the result itself was the nature of the performance. The champions have problems all over the pitch. Madrid had won their previous 13 matches away from home to set a new record in the Primera Division and all of their games on the road this season had ended in victories. Not this time, however, as promoted club Girona came from behind to seal a wonderful win in the teams` first-ever competitive meeting. Real have had their issues already in 2017-18, but those had come at home via back-to-back draws against Valencia and Levante, followed by defeat to Betis and a 1-1 tie with Tottenham. 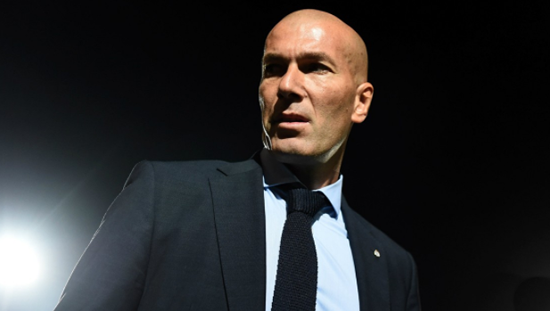 Now Zidane`s side have lost their impeccable away record and they can have few complaints about Sunday`s 2-1 loss in Catalunya, even if Portu`s winner may have been fractionally offside. Isco had earlier given Madrid the lead in the first half, just 18 seconds after Girona had hit the post at the other end. The Spain midfielder was on hand to finish off a quick counter-attack when Girona goalkeeper Bono spilled Cristiano Ronaldo`s shot into his path. But Madrid were all over the place in defence, with goalkeeper Kiko Casilla a nervy presence, Nacho and Sergio Ramos all at sea after Raphael Varane went off with an injury, Marcelo a shadow of his usual self and young right-back Achraf Hakimi struggling throughout. Madrid`s midfield also lacked ideas, with Isco individualistic and too selfish at times. Further forward Ronaldo and Karim Benzema again failed to find openings and Zidane may have been better off with a 4-3-3 in this match, even though Gareth Bale was still sidelined. Two goals in quick succession from Cristhian Stuani and Portu turned this match on its head and Madrid were unable to respond. Last season this is a game Real would have won, probably with some inspiration from the bench via James Rodriguez and Alvaro Morata. Those two, however, are no longer at the club. Injuries have been a problem for Los Blancos this term, but there is also too much apathy overall at the moment and too many players off form as well. And ultimately, Zidane must take responsibility for that. "If they give me `The Best` award for coach, I`ll gladly accept it," Zidane said last week ahead of the FIFA gala in London. "But I don`t think I`m the best in the world. I`m lucky to be at the best club in the world with the best players. I`m being honest - I like what I`m doing, I do it with passion and I`m getting better at it." And on accepting the award, having picked up seven trophies already as Madrid boss including two Champions League crowns and La Liga last term, he said: "I have been here for 18 months and while I don`t know how much longer I`ll be here, I am enjoying it." Despite his success so far, Zidane knows that things can quickly change at a club like Real. Up until now, pretty much everything has gone smoothly for the Frenchman, but he now faces a serious test to his coaching credentials, starting against Tottenham and Mauricio Pochettino on Wednesday.